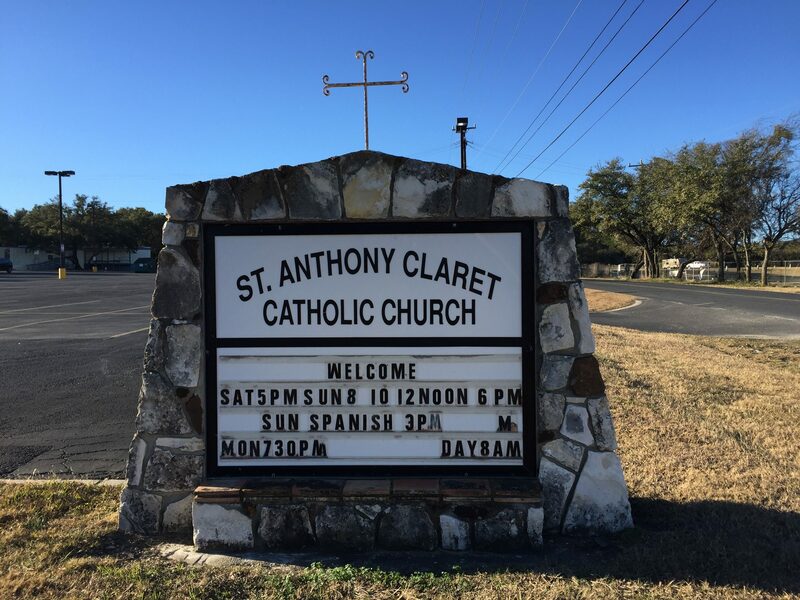 St. Anthony Mary Claret Roman Catholic Parish was initially founded on July 9, 1988, on land acquired from the Sisters of Cordi-Marian Convent. Father Albert Hubertus, the founding Pastor, celebrated the parish’s first Mass on July 24, 1988, with thirty-two families in attendance. During the first two years, Mass was conducted in numerous places ranging from open air services on the church grounds (in good weather) to a mobile home, Cordi-Marian Chapel, or Knowlton Elementary School (in inclement weather). In 1990, a large metal building (later designated as Hubertus Hall) was built to function as both the church and a meeting place for the ministries and parishioners. In 1995, the Pavilion was constructed to provide additional space for ministries to meet, prepare meals and store equipment. Additional land was purchased over the next several years in preparation for future construction. Father Jan Klak became Pastor in 2000, and led the first capital campaign to build our permanent church. It was dedicated on May 2, 2004. The cornerstone blessed by Pope John Paul II and originated from his childhood home site. Over the next decade, the Parish community experienced explosive growth to over 4,500 families. Parish ministries, especially religious education, needed additional space to meet. In 2013, to address this significant need, Father Klak led the church’s second capital campaign to build the education building, which was dedicated on November 6, 2016. In less than three decades, our Parish has grown from thirty-two families to over 5,000, with over 60 ministries serving the Parish and surrounding community.